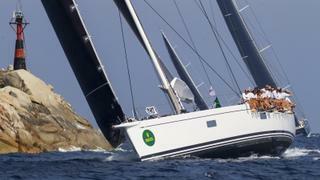 The Loro Piana Superyacht Regatta, hosted by Italian luxury fashion and homeware brand Loro Piana, returns to Porto Cervo from the June 5-9, attracting some of the world’s most notable sailing yachts with first-class racing through the islands of the La Maddalena archipelago. Now in its 11th edition, the regatta comprises four days of competition at sea, accompanied by exclusive social events ashore including a welcome cocktail party, elegant owner's dinner and sunset party at Phi Beach. Take a look at the yachts competing to win the Silver Jubilee Cup this year… B5 The 27.7 metre Nautor’s Swan, designed by German Frers, was delivered in 2008. With a new owner and a new name, B5 (previously Odin) finished second at the 2017 Loro Piana Caribbean Superyacht Regatta & Rendezvous. Perhaps this is her year to reach the top spot. The Loro Piana Superyacht Regatta, hosted by Italian luxury fashion and homeware brand Loro Piana, returns to Porto Cervo from the June 5-9, attracting some of the world’s most notable sailing yachts with first-class racing through the islands of the La Maddalena archipelago. Now in its 11th edition, the regatta comprises four days of competition at sea, accompanied by exclusive social events ashore including a welcome cocktail party, elegant owner's dinner and sunset party at Phi Beach. 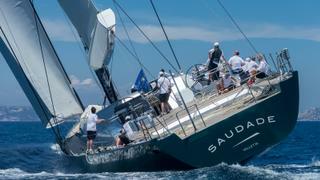 The 27.7 metre Nautor’s Swan, designed by German Frers, was delivered in 2008. With a new owner and a new name, B5 (previously Odin) finished second at the 2017 Loro Piana Caribbean Superyacht Regatta & Rendezvous. Perhaps this is her year to reach the top spot. This 37.5 metre performance sloop is designed by longtime Fitzroy Yachts collaborator Dubois Naval Architects. Escapade is the ninth and last Dubois to come from this shipyard before it closed its doors. This will be her second year competing at the regatta, debuting last year and finishing in third place. This 37.5 metre performance sloop is designed by longtime Fitzroy Yachts collaborator Dubois Naval Architects. Escapade is the ninth and last Dubois to come from this shipyard before it closed its doors. This will be her second year competing at the regatta, debuting last year and finishing in third place. After a year off, seasoned Loro Piana competitor Ganesha is back. Named after the Hindu god of wisdom and learning, the 46 metre Vitters sailing superyacht flies an image of her namesake on her bright orange spinnaker. She is primed for cruising and regatta racing, with her lines inspired by the beam-to-length ration and the low freeboard of the J Class yachts. 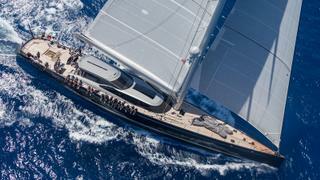 Ganesha won the 2014 World Superyacht Awards category for best sailing yacht over 40 metres. After a year off, seasoned Loro Piana competitor Ganesha is back. Named after the Hindu god of wisdom and learning, the 46 metre Vitters sailing superyacht flies an image of her namesake on her bright orange spinnaker. She is primed for cruising and regatta racing, with her lines inspired by the beam-to-length ration and the low freeboard of the J Class yachts. 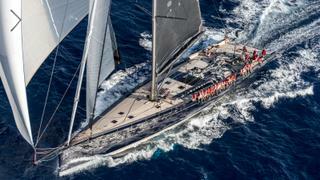 Ganesha won the 2014 World Superyacht Awards category for best sailing yacht over 40 metres. Launched in 2016 as the third Swan 115 yacht, 35 metre Highland Fling 15 features a winning combination of German Frers design and Nautor’s Swan construction. During her development, particular emphasis was placed on boosting downwind speeds to offer more adrenaline-pumping racing without compromising on her ability to offer family cruising in supreme comfort. Launched in 2016 as the third Swan 115 yacht, 35 metre Highland Fling 15 features a winning combination of German Frers design and Nautor’s Swan construction. During her development, particular emphasis was placed on boosting downwind speeds to offer more adrenaline-pumping racing without compromising on her ability to offer family cruising in supreme comfort. Unmissable with its vibrant green hull, Inoui is a 33.4 metre yacht built by Vitters and launched in 2013. A proven light airs performer, this Philippe Briand-designed sloop can achieve speeds of up to eight knots in just six knots of wind. She won the Judges' Special Award for design and high-quality construction at the 2014 World Superyacht Awards. After coming last in the superyacht class in 2017, she will be hoping to climb back up the results table this year. 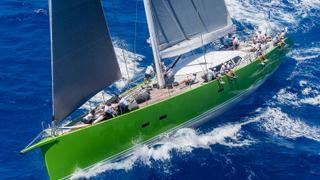 Unmissable with its vibrant green hull, Inoui is a 33.4 metre yacht built by Vitters and launched in 2013. A proven light airs performer, this Philippe Briand-designed sloop can achieve speeds of up to eight knots in just six knots of wind. She won the Judges' Special Award for design and high-quality construction at the 2014 World Superyacht Awards. After coming last in the superyacht class in 2017, she will be hoping to climb back up the results table this year. Built in 2016 by Baltic with design by Nauta Design and Reichel-Pugh, 39.62 metre My Song is owned by Pier Luigi Loro Piana and is a familiar sight at Mediterranean regattas, including the Loro Piana Superyacht Regatta where she came fourth last year. Falling just short of a podium position, her crew will be aiming for top three at this year’s regatta. Ohana is a 49.8 metre flybridge sloop built by Fitzroy Yachts in New Zealand for a European owner. Launched in 2012, she features naval architecture by Dubois Naval Architects and a large beam of almost 10 metres. 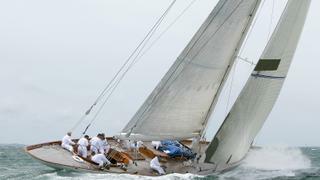 Ohana can reach speeds of 18 knots under sail, making her a serious contender at previous Loro Piana Regattas. 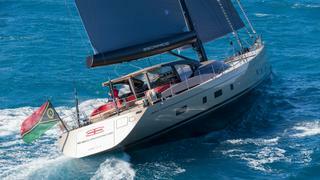 Ohana is a 49.8 metre flybridge sloop built by Fitzroy Yachts in New Zealand for a European owner. Launched in 2012, she features naval architecture by Dubois Naval Architects and a large beam of almost 10 metres. 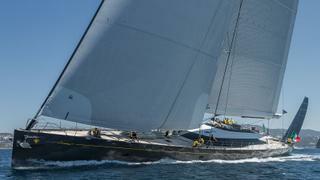 Ohana can reach speeds of 18 knots under sail, making her a serious contender at previous Loro Piana Regattas. Saudade will be back hoping for a fourth consecutive win at this year’s Loro Piana Superyacht Regatta, after winning her class for three years running from 2015 to 2017. Built in 2008 with a length of 45.19 metres, her medium-light displacement combined with the lifting keel produces a fast yacht. This sloop-rigged Wally 148, designed by Harrison Eidsgaard with naval architecture by Bill Tripp, is a force to be reckoned with. Saudade will be back hoping for a fourth consecutive win at this year’s Loro Piana Superyacht Regatta, after winning her class for three years running from 2015 to 2017. Built in 2008 with a length of 45.19 metres, her medium-light displacement combined with the lifting keel produces a fast yacht. This sloop-rigged Wally 148, designed by Harrison Eidsgaard with naval architecture by Bill Tripp, is a force to be reckoned with.